We strongly recommend not to share your credentials with other people as this is also not permitted in Hunter. If you need to share a plan with other people, simply add them in the "Team" section of your account. By doing this all the members will share the common monthly quota allowed by the subscription and share list of leads. 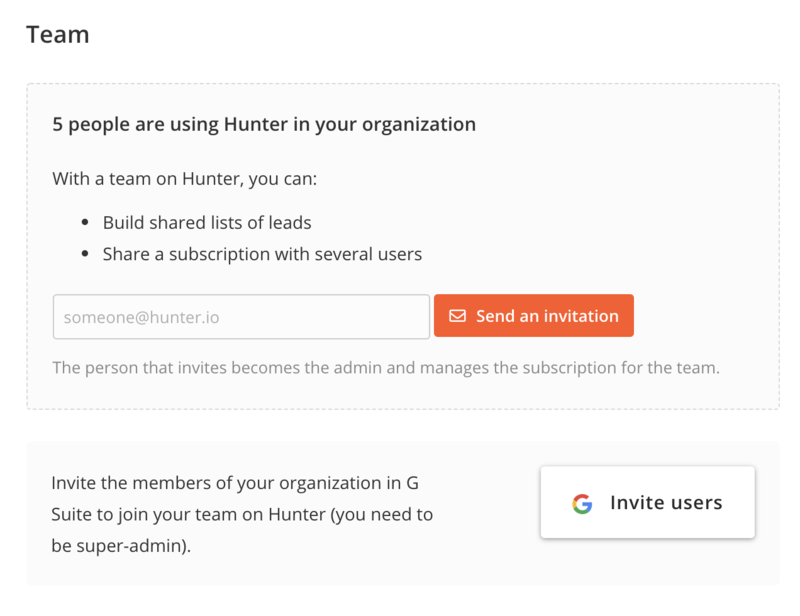 You, as admin, will be able to add/remove members as well as monitoring the activity of each member.